11 Apr 2018 --- Nestlé has committed to making 100 percent of its packaging recyclable or reusable by 2025. The world’s largest food and beverage company aims to avoid any of its packaging, including plastics, ending up in landfills or as litter. It will instead adopt a circular economy model in which packaging, particularly plastics, are actively reused. Nestlé highlights the need to minimize the impact of packaging waste on the environment as its motivation. Nestlé CEO Mark Schneider said, "Plastic waste is one of the biggest sustainability issues the world is facing today. Tackling it requires a collective approach. We are committed to finding improved solutions to reduce, reuse and recycle. 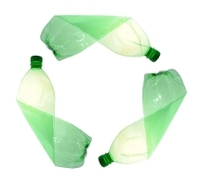 Our ambition is to achieve 100 percent recyclable or reusable packaging by 2025." • Preventing packaging material ending up as waste, including in seas, oceans and waterways are one of the key reasons behind Nestlé’s pledge. 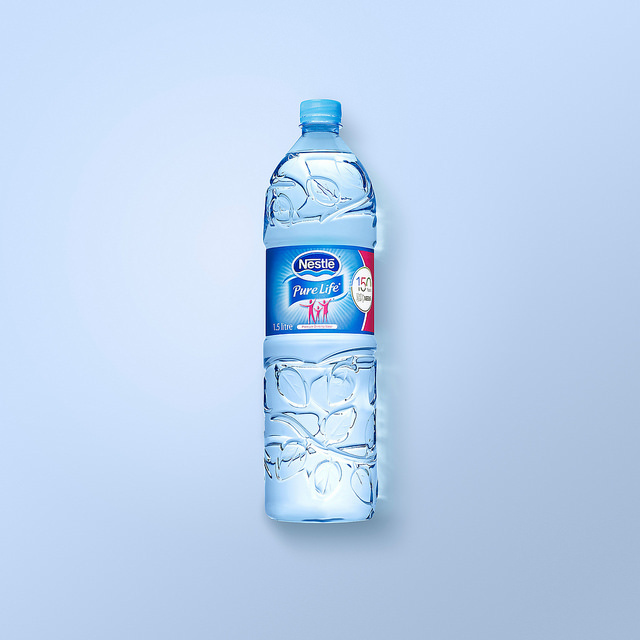 As part of Nestlé’s sustainability goals, the company plans to introduce an estimated 20 percent recycled plastic to the production of its water bottles in its UK facility in Buxton. It will also sponsor a project led by the University of Cambridge Institute for Sustainability Leadership which focuses on the eradication of plastic packaging waste originating from drink containers in the UK. 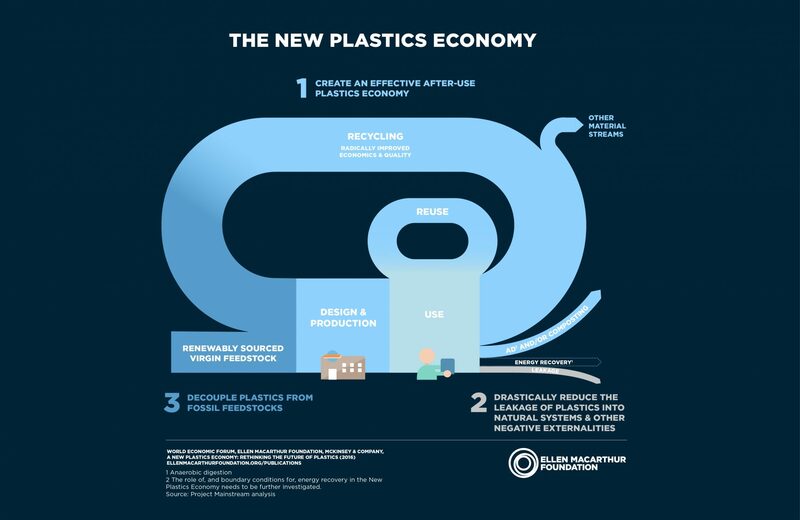 There have been clear and regular indications in recent months that government bodies are working towards the development of a circular plastics economy. The model was popularized by the Ellen MacArthur Foundation and has since been officially integrated into the EU Plastics Strategy. The UK recently joined a growing list of European nations to introduce a deposit-return scheme on plastic and other material containers. UK Chancellor, Philip Hammond, also recently confirmed plans to launch a public tax consultation on single-use plastics. As the world’s largest food and beverage company, Nestlé’s 2025 sustainability goals will increase the momentum driving the packaging industry towards a more circular model. In a similar move, Iceland recently became the first UK supermarket to go plastic-free on all own brand products. Headquartered in Switzerland, Nestlé has been the largest food and beverage company by revenue since 2014. It has 29 brands achieving more than US$1bn annually, including Nespresso, Nescafé, Kit Kat, Smarties, Nesquik, Stouffer's, Vittel, and Maggi. It has 447 factories and operates in 194 countries, with around 339,000 employees. FoodIngredientsFirst recently spoke to circular economy expert, Richard McKinlay, Head of Axion, about the UK’s plans to introduce a deposit-return scheme, single-use plastic tax, and how extended producer responsibility schemes could be the answer to sustainability in packaging.